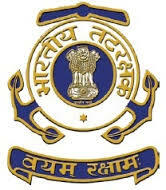 The Indian Coast Guard, an Armed Force of the Union, offers a challenging career to young and dynamic Indian male candidates for various branches as an Assistant Commandant(Group ‘A’ Gazetted Officer) and invites ‘online’ application. Other details like age limit, educational qualification, selection process, application fee and how to apply are given below. Candidates who have passed Bachelor’s degree from any recognised university with minimum 60% marks in aggregate (i.e, 1st Semester to 8th Semester for BE/ B.Tech Course or 1st year to last year for Bachelor Degree Candidates wherever applicable). Mathematics and Physics as subjects up to intermediate or class XII of 10+2+3 scheme of education or equivalent with 60% aggregate in mathematics and physics. (Candidates not in possession of Physics and Maths in 10+2(intermediate) or equivalent level are not eligible for General Duty (GD) & General Duty (Pilot). Short Service Appointment: Short Service Appointment as Assistant Commandant is for a period of 08 years, which may be extended to 10 years and further extendable upto 14 years. Age Limit: 01 Jul 1993 to 30 Jun 1997 (Both dates inclusive). Asst. Commandant Pilot (CPL): 12th class pass with 60% marks in aggregate and should posses current/valid Commercial Pilot License (CPL) issued/validated by DGCA on the date of submission of application. Age Limit: 01 Jul 1993 to 30 Jun 1999 (Both dates inclusive). Short Listing of Applications: Short-listing criteria will be based on higher percentage of marks in the qualifying examination and the qualifying cut off for a particular branch or centre may be increased more than 60% if more applications with higher % are received. Stage -I - Preliminary Selection: Shortlisted candidates will be called for Preliminary Selection at given date and time which will consist of Mental Ability Test/ Cognitive Aptitude Test and Picture Perception & Discussion Test (PP&DT). The aptitude tests will be in English only and will be of objective type. During PP&DT the candidates are expected to speak and discuss in English. However, they are free to speak in Hindi if they wish to do so. Date/ time and venue of Preliminary Selection once allotted will not be changed at any stage. Stage -II - Final Selection: The candidates who qualify Preliminary Selection will be called for Final Selection. The date and venue for Final Selection Board (FSB) will be uploaded to Indian Coast Guard website www.joinindiancoastguard.gov.in. The Final Selection will consist of Psychological Test, Group Task and Interview (Personality test). All documents/ certificates verified during PSB are also required to be produced in originals during FSB. Medical: All candidates recommended by Final Selection Board will undergo a Medical examination at nearest Military Hospital. Candidates for GD (Pilot) will undergo medical at AFCME, Delhi. CPSS: GD (Pilot) candidates on qualifying FSB will be required to appear for CPSS at Dehradun/Mysore AFSBs. That already qualified CPSS are to provide details of batch, Chest number, date and place while filling up PIQ forms during FSB. Merit List: Recommendation in FSB does not confirm final selection. A merit list will be prepared for the medically fit candidates on the basis of marks obtained by the candidates at FSB and depending upon the availability of vacancies. The number of vacancies may vary from branch to branch and will be decided at a later date depending on the number of training vacancies available at training establishments. The list of candidates selected on the basis of merit list will be uploaded in Coast Guard recruitment website www.joinindiancoastguard.gov.in during first week of Jun 2018. The joining letters will be issued accordingly. The training at INA, Ezhimala is scheduled to commence in end Jun 2018. Weight: Proportionate to the Height and Age, + 10 % acceptable. Chest: Well proportionate, minimum expansion 5 cms. Asst Commandant (GD) - 6/6 6/9 - Uncorrected without Glass. 6/6 6/6 - Corrected with Glass.